Ever wanted a reliable wireless mouse for presentations? 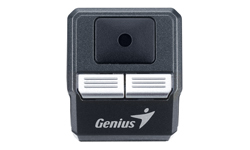 The Ring Mouse brought to you by Genius does that and more. 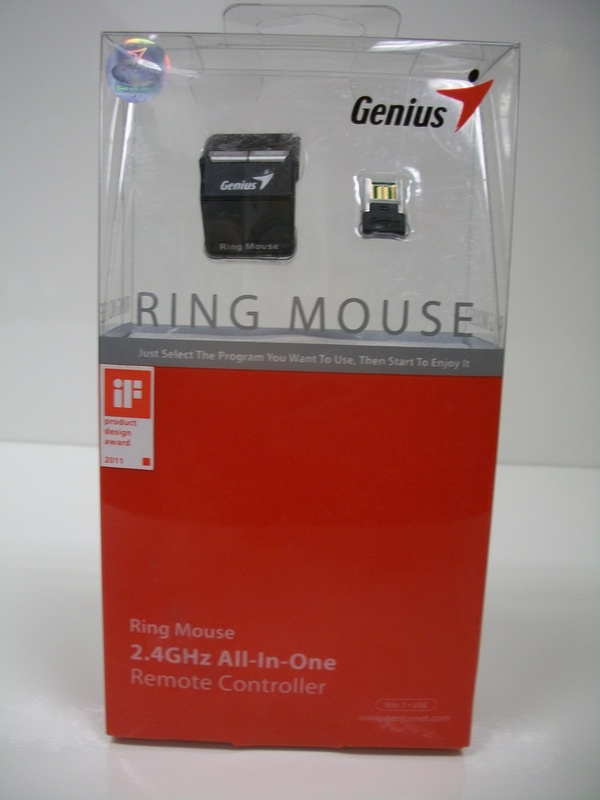 The Ring Mouse is an award-winning device for its ingenious design and works as well for the business person as it does someone who simply wants an easy way to thumb through multimedia on their home machine. Before I start talking about this device I want to say that I personally am not a fan of a lot of the wireless devices available on the market today. They tend to not have the greatest range and can be finicky about their input; however, I have been impressed with this little guy. I tested the Ring Mouse from across an Executive Board Room, the kitchen of my apartment, and both with clear visibility to the adapter and with obstructions in the path. Despite all of that it worked astonishingly well every time. There was no interference that prohibited me making selections with the cursor. The battery life has lasted me all week without having to recharge it as of yet, and to top it off I have been across a large conference room and it still functioned as advertised. When I mentioned award-winning product design earlier, I meant it, this thing won the 2011 iF award for product design over in Taiwan. The design of this thing was clearly thought out ergonomically as it both comfortably slides and rests on your index or middle fingers where you can casually apply your thumb for mouse movement as well as button clicking with minimal effort. The touch sensor responds well to the slightest touch from your thumb. The design is more like what you would expect from a remote control rather than a typical mouse and I think it does the job right. What is this amazing piece of technology worth? Well, currently it retails for $69.99, but you can find it as low as $51.31 on Amazon.